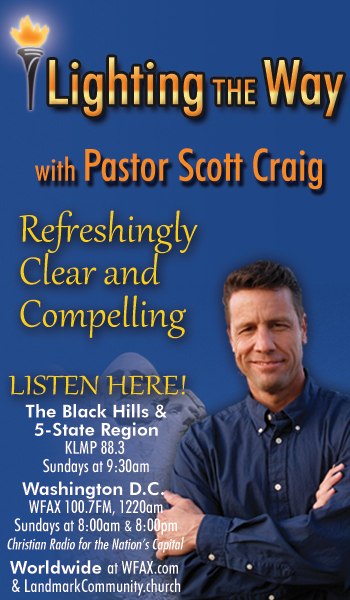 Pastor Scott Craig, Landmark Community Church Rapid City, speaks on the attribute of God’s Mercy and Loving Kindness. → God’s mercy is seen where there is human guilt. God seeks the earthly (temporal), and spiritual (eternal) well-being of sinners, even at the cost of great sacrifice on His part. → God’s Loving-kindness is seen as He constantly places His blessings on His people. → Instead of giving us the wages of sin; pain, poverty, and death; God gives comfort, blessings and eternal life. – The most striking O.T. illustration of the mercy and loving-kindness of God is found in the life of King Manasseh (II Kings 21 and II Chron. 33). – The most striking N.T. illustration of the mercy and loving-kindness of God is found in the parable of the prodigal son (Luke 15:11–32). Postscript: Election vs free will; God’s Choice only OR do you have a choice in receiving salvation?